We have had a mixed bag of weather the last few days. We had two days of intermittent snow and rain showers. About an inch of snow accumulated both days but melted quickly once the snow stopped. We have had a few days of dark and cloudy, but only the briefest of showers. We used these days to read, play tourist, and do laundry. Old Faithful has to be the most famous geyser in the world; rightly so as it does go off every 90 minutes give or take 10 minutes. However the Upper Geyser basin where Old Faithful is has so much more. Kathy made some sandwiches and we went back to the park to walk the Upper Geyser Loop (about 3 miles) again. Old Faithful is at the south end of the Upper Geyser Loop. Other geysers are also predictable but their time between eruptions can be hours or days. 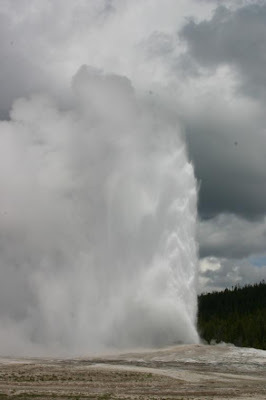 Most geyser are not predictable which why walking the Geyser Loop is so cool. 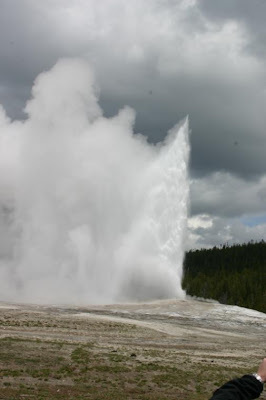 You walk along and geysers just suddenly erupt and each time you go it is different. 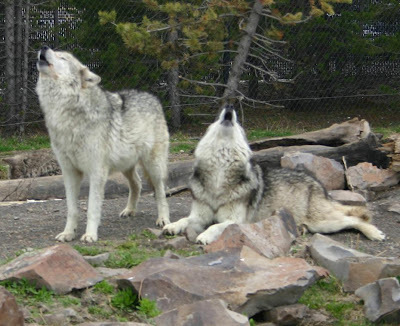 The Grizzly & Wolf Discovery Center here in West Yellowstone is a non-profit group that gives a home to grizzlies and wolves that can’t live in the wild. 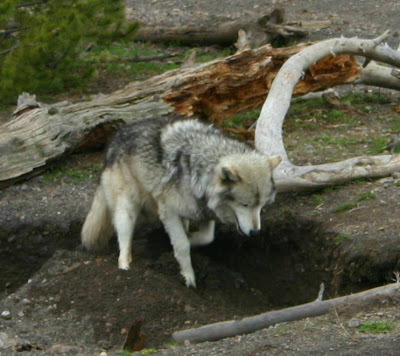 They seem to be mostly cubs or pups that had their mothers killed. 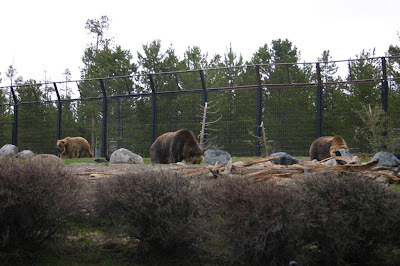 The center also gives tourist a chance to see the grizzlies and wolves they may not have seen in the Park. 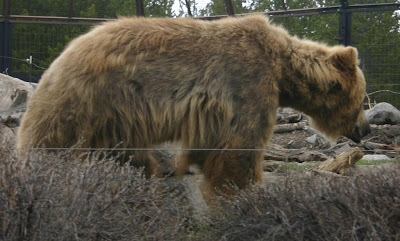 You certainly get much closer at the Grizzly & Wolf Discovery Center than you can in the Park.